My readers know I have been a wildlife photographer using Canon equipment for 25 years. I started out with Minolta cameras before settling in on Canon. There are many reputable camera manufacturers out there and I try to be brand agnostics. The best camera is the best camera and the best value is just that, best combination of performance and price, regardless of the manufacturer. 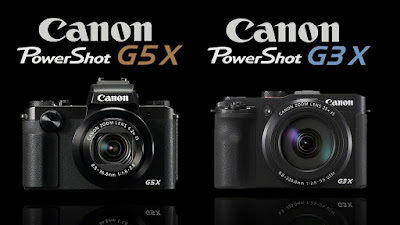 Canon's current lineup of DSLRs and PowerShot models range in list prices from a few hundred to a few thousand dollars. Some models are released recently while others are a few years old. I have picked five recommended Canon cameras for five different categories. You can also read my recommended list of Canon travel and wildlife lenses, see my equipment bag and my works on MichaelDanielHo.com. Ever since the introduction of the Canon EOS-1 series camera in 1989, I have made this body my main piece of equipment and have upgraded to almost every new model through the decades. I am not the type who craves the 'latest and greatest' gear but my readers know I have picked the Canon EOS-1D X as the best DSLR for sports and wildlife photography four years in a row. 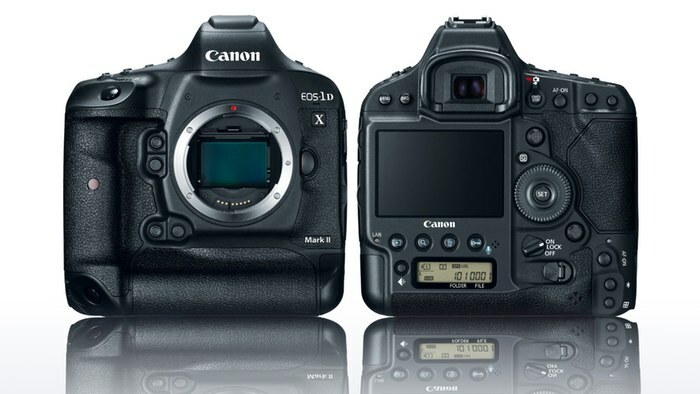 When Canon announced the EOS-1D X Mark II in February 2016, I placed my order quickly and took delivery recently. I have put this camera through a grueling wildlife photo shoot in the Upper Amazon/Peruvian Highlands and will take it on many more trips for further testing. Read my comprehensive review to get the full details. 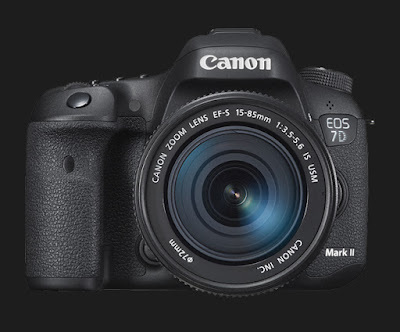 Canon announced the EOS-7D Mark II in September 2014. It has an APS-C 20 megapixel CMOS sensor, Dual DIGIC 6 Image Processors with an ISO range from 100 - 16000 and 10 fps burst rate. It comes with the new, all cross-type 65 point AF system with improved AI Servo II AF subject tracking and user-selectable AF area selection modes. It also has an Intelligent Viewfinder, an entirely new technology, provides approximately 100% coverage and displays user-selected AF modes as well as a spot metering circle and on demand grid lines. Read my comprehensive review on this camera. I have taken the EOS-7D Mark II on many rigorous field tests around the globe. Subsequent to the original announcement, Canon has released a new firmware, Version 1.0.4 in May 2015 to address some AF issues. 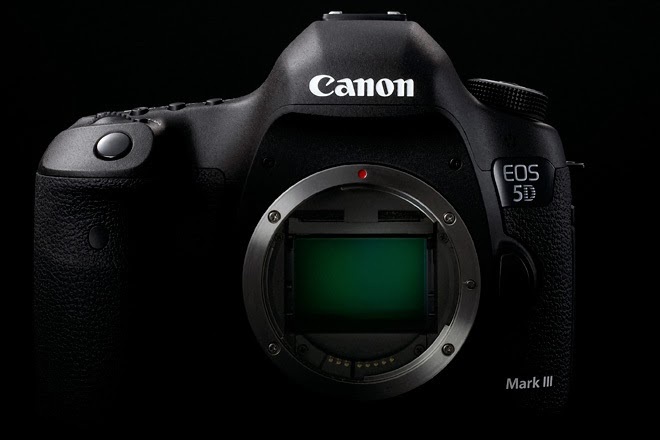 The 5D Mark III shares many features of the Canon EOS-1D X, including the DIGIC 5+ processor, 61-point AF array with up to 41 cross-type points and five dual cross-type, plus the ability to AF @ f/8. The camera is also designed for cinematographers and amateur filmmakers. It can capture 1080p Full HD video and 720p HD recording. It also has the new H.264 video compression formats for data storage efficiency. The camera can also double up as a nature and wildlife photography body with its ample megapixels for cropping and adequate 6 fps for action shots. Check out my post on the EOS-1D X vs. EOS-5D Mk III comparison. Although Canon announced the EOS-5Ds and EOS-5DsR 50MP cameras in February, 2015, the EOS-5D Mk III remains my pick in this category. You can read my comparison of the two cameras here. The EOS Rebel T5i is not Canon's latest body but is an excellent choice for those who wish to leave the point-n-shoot camera behind and enter the DSLR world. The plastic body makes it lighter than higher-end cameras, but the feel is solid. It comes with the APS-C 18 megapixel hybrid CMOS sensor, DIGIC 5 processor with a 9-point AF system and ISO range from ISO 100 - 12800. In addition, it comes with the side-hinged, articulating touchscreen LCD monitor. When mated to the Canon EF-S 18-135mm f/3.5-5.6 IS and EF 10-18mm f/4.5-5.6 IS STM lens, it can focus with almost complete silence, a feature many videographers love. It is a camera with the proper mix of performance and price for the beginner/amateur DSLR market and therefore is my pick. Check out my post on the Rebel T5i vs. Rebel T4i comparison. 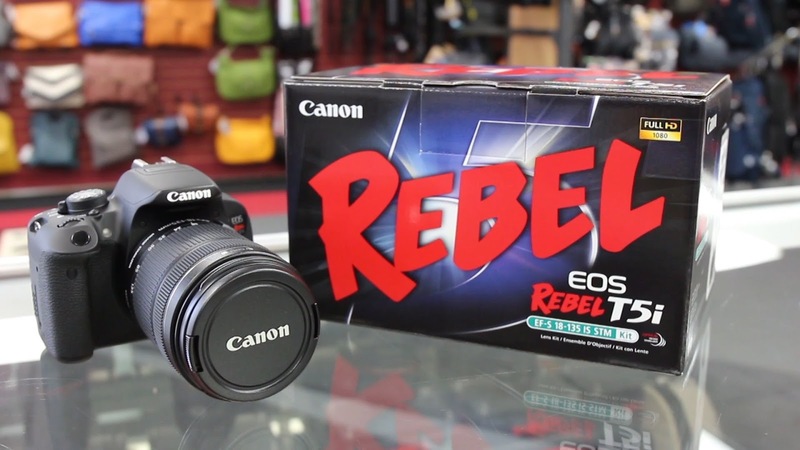 Although Canon released the Rebel T6i and T6s (EOS-750D and EOS-760D) cameras in February, 2015, the Rebel T4i or T5i remains my pick in this category. For those who want to spend a bit more and get into the EOS-xxD models, look no further than the EOS-80D. This is my pick for those who have outgrown the Rebel camera line. There are times when it is not feasible or you don't want to lug your DSLR and camera bag along. This is where a prosumer point-n-shoot camera comes in. 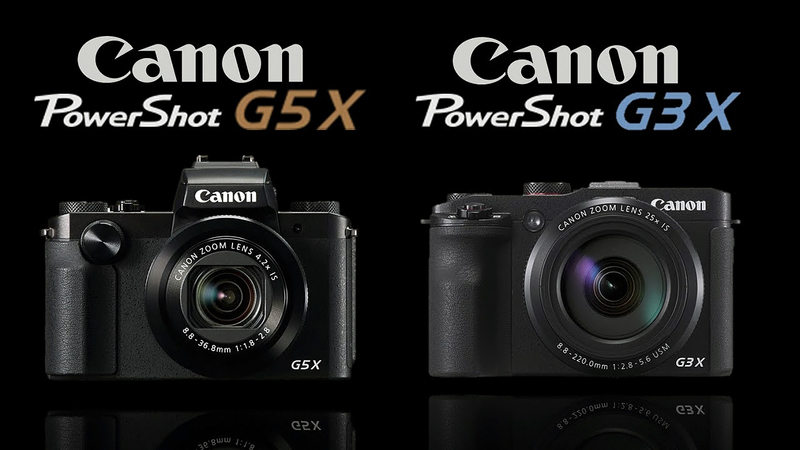 The Powershot G3X and G5X cameras are very similar in features and functions but the edge goes to the G3X, with its slightly higher performance and price. They are perfect for advanced amateur or professional photographers looking for a lightweight, all in one camera equipped with built-in Wi-Fi for sharing images and videos to social media networks. Both cameras are powered by the DIGIC 6 processor and feature a one-inch, 20.2 Megapixel High-Sensitivity CMOS sensor with an ISO range of 125 – 12,800 and 1080p HD video @ 24p, 30p, and 60p in MP4 format. Excellent job Michael, as always!